Iris are a very popular garden plant in Australia, they are easy to grow from bulb or rhizome depending on variety. Many species and cultivars are available for sale including: Bearded, Louisiana , Arlibred , Border Bearded , Dutch, Californian Hybrid and others. Iris, an appropriate name for a species that derives its name from the greek word for rainbow, with so many fantastic colors the name really fits the flower. 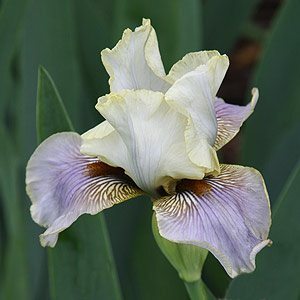 Planting and growing conditions will depend on the particular variety or species, and with iris being found from cold climate areas to desert areas a wide range of growing conditions exist. For specific growing notes refer to the notes related to each variety. 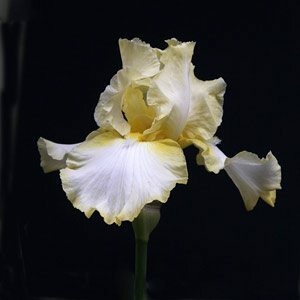 Bearded Iris are probably the most popular iris, however it is well worth exploring the wide world of iris, with wonderful low growing dwarf iris, and tall growing iris that will reach well over 1m. Some iris will grow in very wet conditions and other iris thrive in dry conditions, they are truly a versatile plant. Iris fall into different categories and species. Some irises are bulbs and some irises are rhizomes.